How Do You Create An Implant Restoration? A dental implant is a tooth replacement option that is inserted into the jawbone, where it bonds with the bone tissue and acts as a new tooth root. In order to ensure this tooth looks natural, we will then create a lifelike and durable restoration. How do we create implant restorations? After the placement area heals and osseointegration takes place (the bonding between the jawbone and dental implant) will add an abutment to the tooth. The abutment will hold a custom-made dental crown in place, which will act as the visible portion of your new tooth. We will take detailed impressions of your smile and use this information to design and fabricate the dental crown. We will typically use ceramic or possible zirconia to create the tooth. These materials are durable and mimic the translucent nature of tooth enamel. We can also shade the material to ensure the crown blend seamlessly with your smile. We want your new tooth to look completely natural, offering a replacement for missing teeth and giving you a full and functional smile once again. 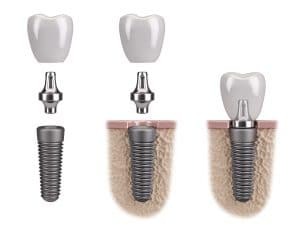 Dental implants offer a number of unique benefits. They actually stimulate the growth of jawbone tissue. When we lose teeth, the surrounding jawbone can eventually begin to deteriorate, leading to further tooth loss and in extreme cases, an age appearance. Your new tooth will help preserve your smile. In addition, they tend to last much longer than other prosthetics, such as bridges or dentures. In fact, with proper care and attention they can potentially last decades. If you have any questions or concerns about addressing tooth loss with implant dentistry, then please contact our team today. We can see if dental implants are the right choice for your smile. 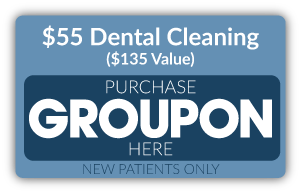 Do You Need Help With Missing Teeth? At Jeffrey Leibowitz, DDS, our team is ready to help you enjoy a full and functional smile. We’ve proudly served our patients in Astoria, NY (including Queens, Manhattan, Brooklyn, and all surrounding communities) since 1991. 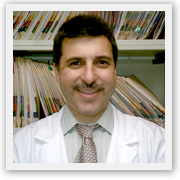 To schedule an appointment with Dr. Leibowitz, call our office in Astoria today at 718-728-8320.